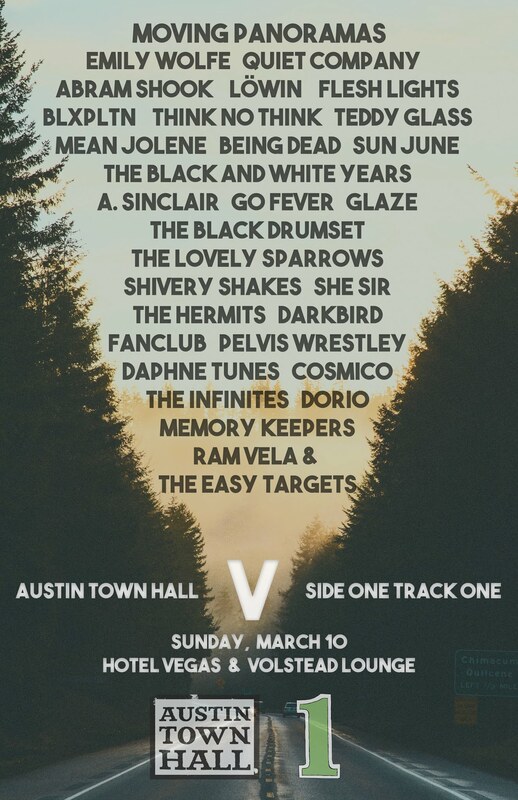 We’ve already mentioned that the 7 day period of music we’re currently going through in Austin is just one of those weeks that seems to happen once or twice a month. One I’m personally excited about is the Sunday night show at Mohawk featuring one of my favorite new bands Beach Day. I’d of course not be doing my duty as a reporter if I failed to mention that the show is actually headlined by Blank Tapes with opening support provided by Deep Space. Prior to the show, I sent a couple silly questions to band member Kimmy. Her answers are after the jump. ATH: So as a very new band to the scene, could you tell us how you got together? Or even why you decided to make music together? Kimmy: We all met on the same night. I guess you could say the stars aligned. We love making music together cause it’s purely fun & instinctual! ATH: How would you describe your sound to those unacquainted with your work? Kimmy: I would describe us a band with one intent in mind > fun! I would describe our sound as beachy, sunny, playful, rebellious, freaky. ATH: You’re about to embark on an extensive tour yes? As a new band, how do you think you survive as a band on the road? Should you be worried? Kimmy: Yes! We’re about to leave for a 22 day tour. Our last tour was more like 2 months! We’ve been touring pretty much non stop over the last year. Every day is an adventure. ATH: You are creating a super group of your favorite artists, living or dead. Who would play guitar, drums, etc.? Any reason why this fictional supergroup would work well together? Kimmy: It would definitely be Ringo on the drums. He’s so underrated as a drummer and he’s one of my favorites! Keith Richards on guitar of course. Or Ronnie Wood, I don’t know I love them both so much! On bass would be the fantastic Carol Kaye! She’s the best bassist ever. Vocals would be Lou Reed. this would work cause they are all the best! Kimmy: I don’t know who they are…..so neither!! Thanks again for the time Kimmy. We hope to see everyone at the show.